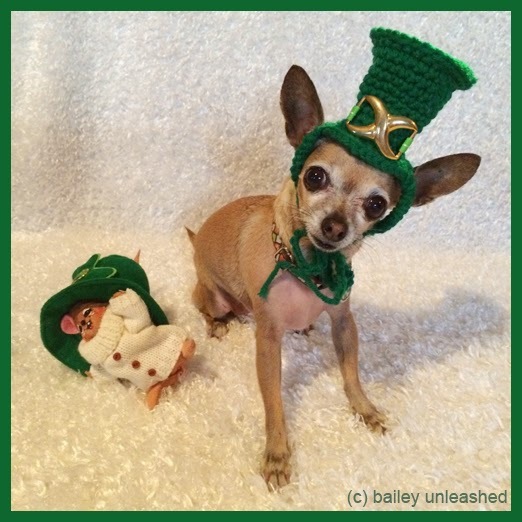 bailey unleashed .com: ó mo dhia, 'tis st paddy's day! they say everyone is irish on st patrick's day; even a wee mexican chihuahua. she's got her green on and is ready for some mighty craic. You are so adorable, Bailey! 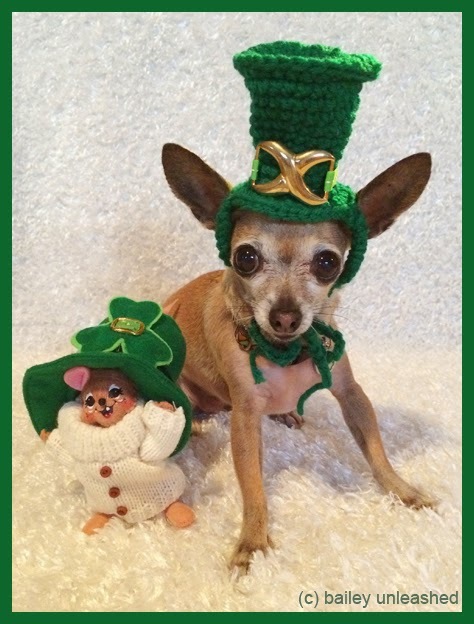 I love your hat! Did you mom make it for you? That hat is too much, love it. 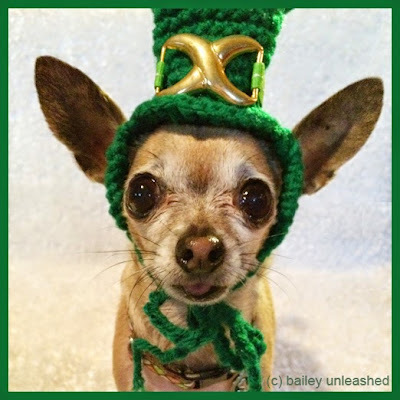 You look so cute in your green hat Bailey.